Most people in the office take the photocopier to be a simple piece of equipment, not many people think about all the inner workings and the beautiful complexity of a machine which revolutionised the way we work everyday. This guide will help you understand how they really work and what goes on in the background when you press that big green button. In 1937 Chester Carlson, who was a patent attorney in New York, invented a process called ‘electrophotography’. It had taken Carlson quite some time to establish electrophotography and the following year the process was renamed Xerography. The creation is based on two things that occur naturally; the first of which is that opposite electrical charges attract and the second is that when exposed to light some materials conduct better. “10-22-38 Astoria” was the first known photocopy to be created and the Xerography process became extremely well known and popular within the 20th century. However, the popularity of Xerography was not immediate, it took Carlson 10 years to secure a company to develop the process. A photo-paper manufacturer, The Haloid Company, were the ones to finally take on the challenge of developing Xerography and the company eventually became Xerox Corporation. From 1947, The Haloid Company had began working with the Xerox process to develop a xerographic machine. They developed the first automated xerographic machine in 1955 and then in 1958 the first ever commercial push button copier named the Xerox 914 was introduced. This commercial copier was the first of its kind and was able to make copies quickly with very little effort from the user. The Xerox 914 was incredibly successful, selling thousands and increasing the company’s, then known as Haloid Xerox, income by millions in a matter of years. Photocopying became so popular due to their ability accurately copy a document onto plain office paper in a fast and economical manner. The increase in photocopying was huge, before the Xerox 914 was released Americans produced around 20 million copies annually, a number that skyrocketed to 14 billion by 1966 thanks to the ease of copying using the Xerox 914. The photocopier has come a long way since its beginnings, the photocopiers available now come in a range of brands, sizes and models to suit all business and personal needs. You can buy anything from a small, monochrome desktop photocopier to a high volume colour copier. 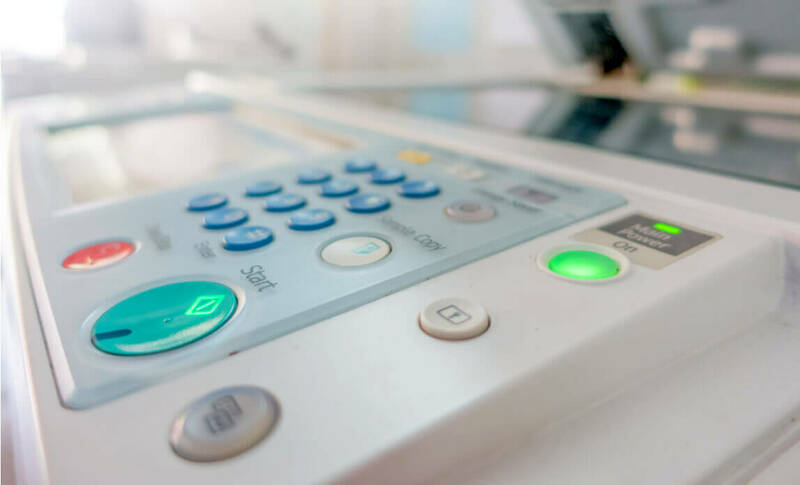 One of the most substantial differences between the first photocopier and modern copiers are the functions, these days you can not only copy documents but also scan, print and fax as well as edit documents and images, print in colour, print two sided documents and more. You can even buy photocopiers suitable for larger paper sizes (A3) and you can opt for finishing options including stapling, hole-punching and booklet making. 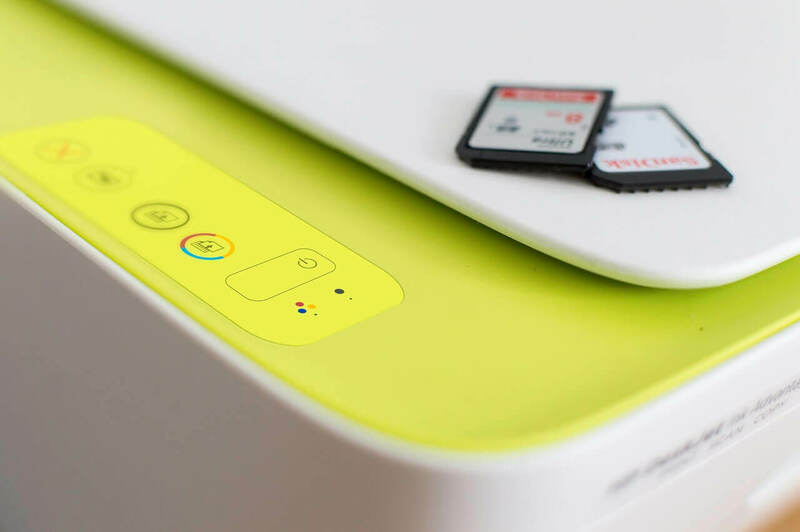 These additional features make the humble office photocopier responsible for far more than just copying. In fact, the photocopiers available now are so varied that you can choose one that best fits the needs of your business in terms of the monthly volume that it can handle, the speed it can copy at and the additional features you require. As an example of the two sides of the spectrum – you can buy low volume copiers that print less than 8,000 copies a month at a speed of 20 prints per minute to suit the smaller office or on the opposite side of production you can purchase a high volume copier that can produce up to 100,000 copies per month at a speed of up to 100 prints per minute for the large corporations. There are options available for everyone in the current market. Despite all of the additional features and options, the core of a photocopier has stayed the same in this time, being altered only by the digital revolution – to which it easily adapted. If you were to see an Xerox 914 today you would see it is much larger than a modern photocopier but it operated in the same way. This tray is where the paper is taken from in order for the copy to be transferred from the drum onto the paper. The glass is where you place the document you wish to copy, face down. The lamp is a powerful light source that can remove the electrons from photo-conductive atoms. The mirrors are used to reflect the light given off by the lamp onto the drum. The drum is the heart of a photocopier, it is basically a cylinder that has a photo-conductive covering. The corona wires are essential to provide the positive charges needed for a photocopier to work. They transfer high voltage energy into static energy within the drum and paper. There is usually more than one corona wire as one if needed for the drum and another is needed for the paper’s surface. Toner is a negatively charged, plastic-based powder. The toner finds positively charged ions within the drum and then move onto the electrostatically charged paper where it will stay after the fusing process thanks to the plastic component of the powder. The heated roller is used to fuse the toner onto the paper making the copy permanent. A photocopier makes creating paper copies of documents seem very easy and straightforward, I mean all we have to do is push a button, right? In fact, the process behind photocopying is an intricate one. Xerography is what is called a ‘dry process’ that produces an image by applying toner and heat to a piece of paper. In order to produce a photocopy the document you wish to replicate must first be placed face-down onto the piece of glass ready to be copied. The image of the page is projected onto the photosensitive drum but the for anything to happen the drum needs to be electrostatically charged. The electrostatic charge happens using the high voltage charge corona which sets up the essentials necessary for the electrostatic photocopier to work. The change corona works by the ionisation of the surrounding air. Now the cylindrical drum is electrostatically charged and has photoconductive material coated onto it which conducts to light. The photoconductive material on the cylindrical drum becomes conductive when it is exposed to light so that is the next step. The exposure lamp shines a bright light onto the original document and this is reflected onto the photoconductive drum. This reflection on the drum allows the areas exposed to light to become conductive and the areas not exposed (dark areas of the document) to remain negatively charged. Next the photocopier toner, which has been positively charged, is applied to the drum in order to develop the imagine. The toner attracts to and stays in the negatively charged areas (the dark areas). This image of the drum is then transferred onto a piece of paper that has a higher negative charge than the drum. The paper has to have a higher negative charge otherwise the toner will remain on the drum rather than be attracted to the paper. Finally, the toner is bonded to the paper using heat to melt it and pressure rollers to fuse it. Static electricity in photocopiers (like the energy you produce when you rub a balloon against your t-shirt and it stick to you) is used in a way that captures the light pattern and then uses this to pass the pattern onto the photo-conductor. The image is projected onto a drum that is positively charged, the drum will conduct energy when exposed to light. The exposure light is an intense beam of light that reflects from the white areas of the original document onto the drum. The areas of the drum that have been lit by the projected image will lose their electrostatic charge due to the conduction. The remaining positively charged areas of the drum will attract the negatively charged toner particles to it so when the ink drum touches the belt it becomes coated with toner. With the toner particles attracted only to the charged areas it gives you a copy of the original document ready to be transferred onto paper. 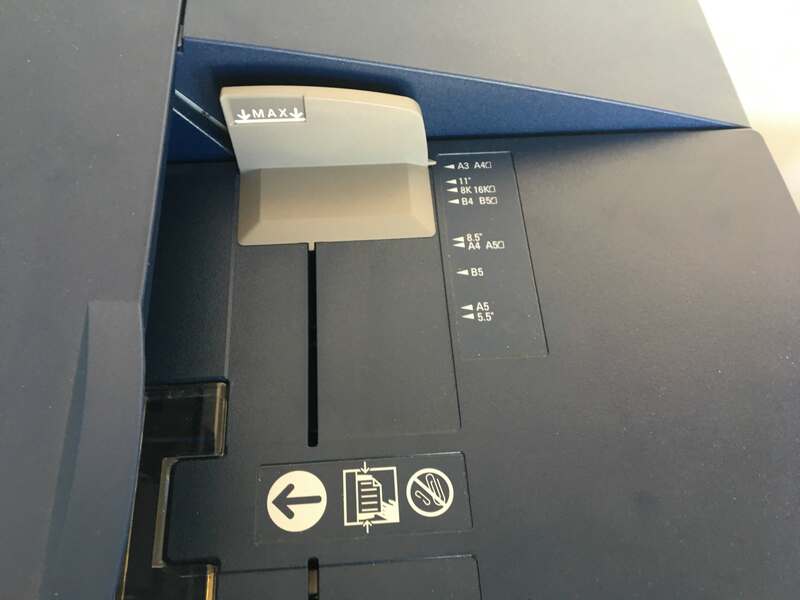 The paper is given a strong electrical charge before it reaches the drum so that when they come into contact the charged toner particles will rapidly transfer onto the paper. This produces a black and white copy of the original document. In order for this to become permanent the paper needs to be heated. The paper is passed through the heat and pressure to fuse the toner onto the paper. The copy emerges and you’ll probably notice that the paper is still a little bit warm from the process!